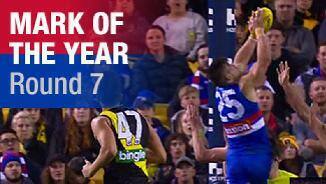 Two Bulldogs poll AFLCA votes from Round 14. Marcus Adams has returned to full training as he pushes his case for a return. 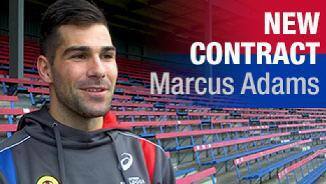 Marcus Adams is excited by the replenishment of the club's running defender stocks following the retirements of veteran pair. Adams: "Continue to develop and grow"
Adams is a big-bodied key defender, with good game sense and an aggressive streak. Had a super-impressive year in the WAFL, where he showed an ability to play on all types of forwards. Exceptional speed and power for his size, shows great courage in the air and is a long kick. 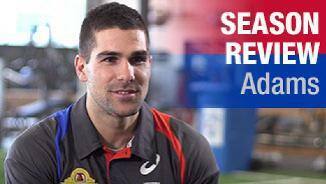 High scope for improvement in AFL environment and should flourish under Luke Beveridge's tutelage. Adams played 11-games in his debut season as a key defender, before a foot injury cut short his year. 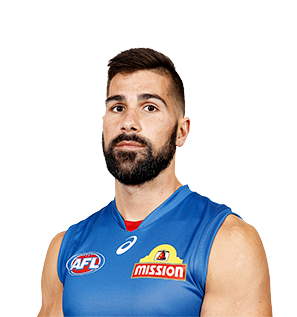 Marcus Adams played 11 games in his second season at VU Whitten Oval, before a foot injury ended his season in Round 12. In the Bulldogs’ win over Brisbane in Round 5, Adams finished with 16 possessions, 10 marks and a goal. He proved his versatility in a stint up forward against Richmond in Round 7, kicking two goals. He demonstrated poise in the dying seconds of that game, taking a contested mark as the Bulldogs held on to win by five points. In May, Adams agreed to terms on a three-year contract extension, keeping him at the club until at least the end of the 2020 season. The 24-year-old averaged 15.4 disposals and six marks per game from 11 matches. “Unfortunately two years in a row having a good start and not being around for the more exciting second half of the year (was disappointing). “Being part of this group for the next three years is a great thing for me. Hopefully over those years I can contribute and continue to develop and grow as a player. Although his promising debut season was cut short by injury, Marcus Adams established himself as a key member of the Bulldogs’ spine in his 11 senior games. Drafted as a mature age recruit after impressing for West Perth in the WAFL, the 23-year-old Adams’ game translated well to AFL level, where his mature body, power and aggressive streak had him looking comfortable in a key defensive post. Was outstanding when injury free, and his 23 possession, 15 mark performance against Hawthorn in just his third League game was a highlight. His 6.5 intercept possessions per game was equal third at the Club. “I guess considering where I was throughout preseason compared to where I was in those games that I was able to play is something that I suppose I’m pretty proud of. “Probably up until about mid-Feb I thought I was probably the last bloke who was going to get considered for a game and then I was lucky enough to get a go in the first NAB game and throughout that period I got a little bit of confidence.